Every Christian, by virtue of his baptism, is consecrated: sealed with the sign of redemption, and on pilgrimage towards the temple of God’s glory — the heavenly Jerusalem. 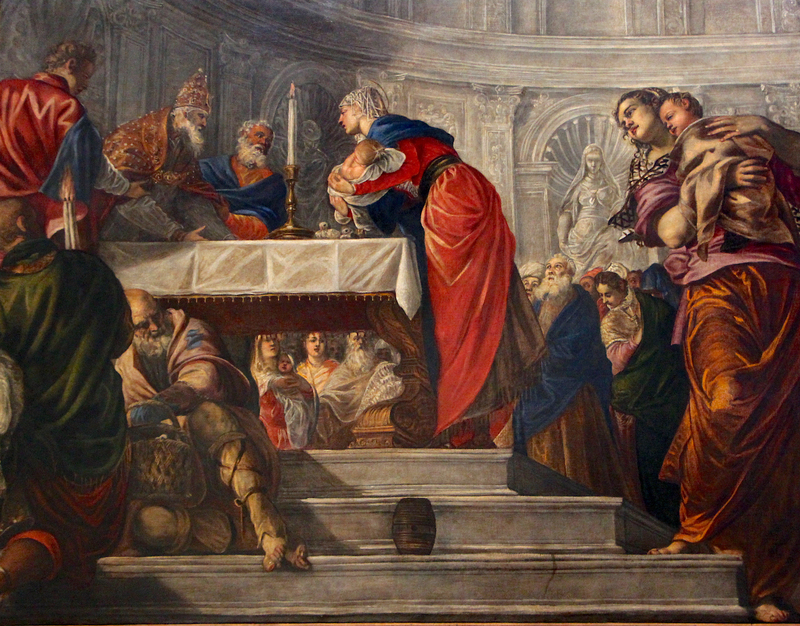 The Feast of the Presentation of the Lord leads us to mediate on the ways we are presented in the Temple. At Baptism, we were also offered — set apart to participate in the life of Christ. Our earthly participation in the life of Christ is further confirmed in our individual vocations. The consecration of marriage bears in itself the mark of the spousal union of Christ and the Church. Likewise, the consecration of the varied forms of religious life requires the offering of oneself to God, in the form of Christ’s own total sacrifice. The Feast of The Presentation of the Lord, observed traditionally as the Day of Consecrated Life, highlights the totality of religious consecration, after the pattern of Christ, whose coming into the world reset the orientation of every human life, and who brings some, by grace, to the make an oblation of their very being. As we accompany the Virgin to the Temple in Jerusalem, we see the simplicity of her offering. Hidden from the world, it was not a grand affair. She and Joseph come with the prescribed sacrifice: two turtle doves. We are told of Anna the prophetess, and of the priest, Simeon, who witness the long awaited Savior, and exult at meeting him. In them we see ourselves, the believing people of God, who long for redemption: a redemption that is not external, that is not a mere idea of salvation, but the entirely carnal manifestation of it: the redemption of the flesh begins at the Annunciation, is manifested in the birth of Christ at Bethlehem, and continues to reveal itself as Mary and Joseph present the Christ-child to his Father. What is this consecration, then, and why does it matter? “I consecrate myself.” These are the words Christ prays before he offers his life — they are consummation of the consecration we celebrate today. Consecration, therefore, is the vocation of the Christian. Set apart for God, and offered back to God — this is the paradigm of the life of faith. The Christian is not of the world: he is Christ’s own in the world. After the pattern of Christ, and by the efficacy of grace, our very life is consecrated, made holy. Whatever forms such consecration takes, it is a share in the consummation of Christ, whose entire humanity, united to his divinity, becomes a redemptive oblation. Only with Him, can can utter the same words: “I consecrate my self“. Only with Him, can we arrive at the fulfillment of hope. that thoughts out of many hearts may be revealed. The Mother who walks up to the gates of the Temple will later stand beneath the blood-drenched portal of the Cross — the gate to Paradise. She will lose her son, having offered him in a total love. The consecration is firstly hers: a maternal offering that prophetically already bears the wounds that merit redemption. Her vocation is consecration: the offering of what is most fully hers and most perfectly God’s to God: her son — The Son — to The Father. And for it, she is the first Christian — the servant of the Lord.